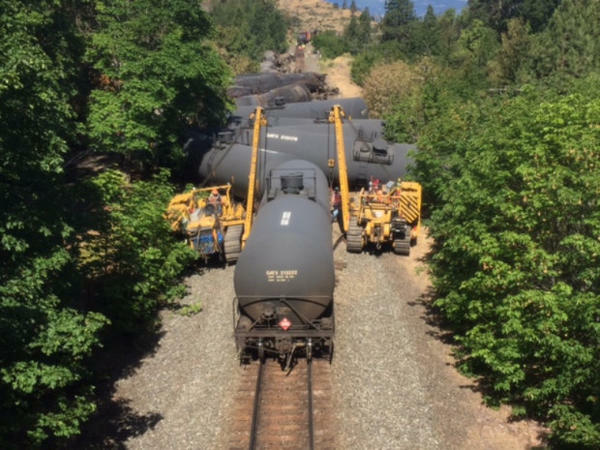 The Trump administration is rolling back a requirement for trains carrying highly explosive liquids — like the oil trains that run through the Columbia River Gorge en route to Northwest refineries. The 2015 rule was supposed to make these hazardous trains more safe, following a number of derailments. But that was under President Obama, Now, President Trump’s Department of Transportation says railroads with trains carrying highly flammable liquids will not have to update their braking systems. “The costs of this mandate would exceed three-fold the benefits it would produce,” the DOT said in a statement — that’s according to studies by the National Academy of Sciences’ Transportation Research Board and the U.S. Government Accountability Office.